Last week’s guest coach was Debbie Marriott. 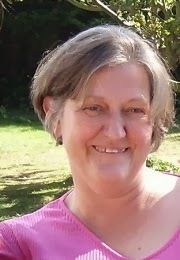 Debbie has worked with over 500 clients in education, hospitality, and staff supervision and support. She began her career helping homeless people in the London projects, spending eight years helping those in need. During that time, she discovered an awareness of her self at work. She became deliberate in her work and was cognizant of how her actions affected those around her. When Debbie first came across the Clifton StrengthsFinder assessment, she instantly fell in love with it. For the first time in her life, she was aware of what she did best. During most of her life, knowing her greatest strengths wasn’t something that was obvious to Debbie. She knew she possessed these traits, but she didn’t know what they meant. The Clifton StrengthsFinder gave her a language in which to describe and justify her greatest talents. This was Debbie’s call to coach. Within Debbie’s top five strengths is Command. When she first discovered her strengths, this made perfect sense to her. Growing up, she was often called bossy and was accused of taking over too often. As a result, she spent most of her life trying to avoid being herself. Upon discovering her strengths, Debbie felt a sense of relief when she realized that her tendency to take charge was actually one of her greatest strengths. She quickly began to leverage that particular talent in her everyday life. When coaching individuals, the most important thing to do is to listen. Even though you know someone’s top five strengths, you may not actually understand him or her completely. It is difficult to fully comprehend how the same strengths can resonate differently with each individual. It’s also important to help individuals look at their top five strengths as a whole, instead of viewing each as an individual talent. At the same time, it is also helpful to encourage individuals to understand what their bottom strengths are. By having an understanding of their full list of strengths, individuals have a better opportunity to leverage their talents and maximize their potential. Join us for the next free Called to Coach on Friday, Oct. 4, at 1 p.m. EDT with our guests Roy West and Brendan Suhr. Debbie provides tailored consulting and training to individuals and teams. Since 2005, Marriott has used the Clifton StrengthsFinder model to design coaching programs in the United Kingdom, Sweden, and Switzerland. Debbie’s top five strengths: Activator | Individualization | Command | Strategic | Arranger.